Sofia airport to Bansko private transfers, shared transfers, taxis and hire car options are all here. Click here for an updated version of this article. I don’t want to have to think. I want peace of mind. Flights to Sofia are available from EasyJet, RyanAir British Airways, Bulgaria Air, Wizz Air, Balkan Airways, German Wings, Lufthansa, Alitalia and many others. 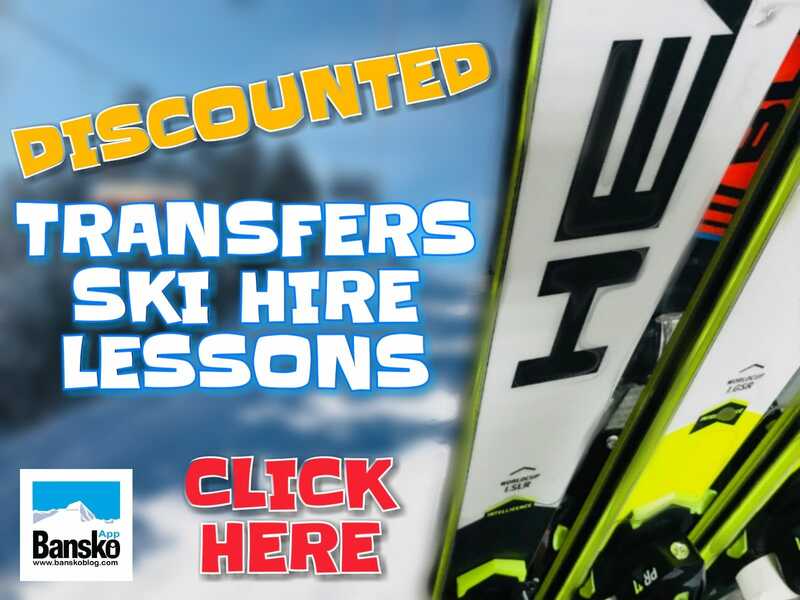 Please visit my discounted ski & snowboard hire, lessons and lift passes, packages page for transfers as well as ski / snowboard hire, lessons and lift passes. If booking a Transfer only pay just £0.01 to book. Download the Bansko App (it’s free). Click here for iOS and click here for Android. With over 400+ 5 star reviews and testimonials in the Bansko App you can be assured of the not only the value for money but also the level of service. It’s super quick to book your private transfer be it in summer or winter, as well as a ski package that suits your requirements, could not be simpler. Everything is organised well before you arrive in Bansko. No queuing. No hassle. I am passionate about offering a Bansko service that is second to none — so from the moment you ask a question using the pop up form (but click on FAQ’s first, please), to meeting your driver at the airport, to the day you leave Bansko we have it covered. 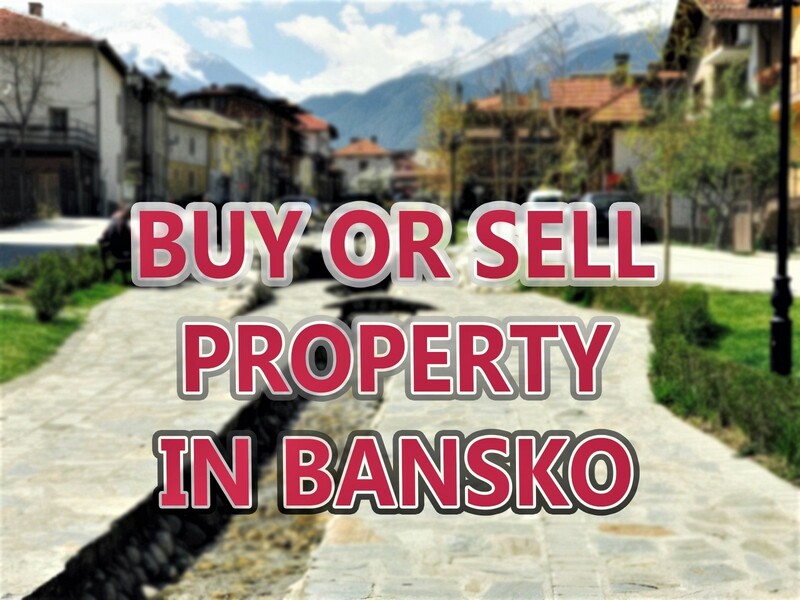 Providing a Bansko experience that will have you wanting to return for more. Read You Say for why others book online here. I even have a transfer guarantee (see below) as well as ski package guarantee. Click on the image below below for transfer only (for out of ski season bookings). Please subscribe to newsletter for your discount code. Click on image above to open ONLINE bookng formto date tips to getting the most out of your time in Bansko, both summer and winter seasons. EUR €s, BGN leva or UK £s. Words are cheap, so for many years now I have operated the unique, for Bansko, 100% Happiness Guarantee. If your transfer driver is not waiting for you at the airport when you arrive, then you receive €50 as compensation (Bansko Blog and Bansko App online bookings only). If, for any reason due to the fault of the driver, your transfer does not arrive at all you receive all your money back plus €50. So book your transfer here with confidence. All transfers are not the same. Our transfers are reliable, safe and friendly. Relax in the knowledge that you are not only getting value for money, but will be transported in a modern and properly maintained vehicle. Many vehicles are less than two years old. All use winter tyres, in winter. All are insured. Contact us for bus transfers for 16+ persons or for tours to Rila Monastery, Melnik, Plovdiv and places of interest. Book 15 persons and under online, just click on the form. Our transfers have free ski and snow board carriage, bag allowance. Late or early transfers, no extra charge. Free baby and child seats. Free comfort break stop if required. Click on image above to open ONLINE bookng form. Skip ski hire/lessons.lift pass to get to transfer booking. OFFER: £SAVE ONLINE return for vehicle up to three persons. If you have skis/boards you will need a larger vehicle, such as MPV or a minivan. Indicate number of people, check in baggage, skis, boards and boots. Book in the Bansko App (it’s free). Click here for iOS and click here for Android. With over 400 5 star reviews and testimonials in the Bansko App you can be assured of the not only the value for money but also the level of service. It’s super quick to book your private or luxury transfer. All Bansko private transfers receive are in new or up to three year old vehicles. Shared transfers are not typically recommended as often you will have to wait over an hour at the airport. Be wary of unlicensed operators and offer that seem too cheap to be true. There’s usually a catch. In the Bansko App, Excellent weekend car hire rates. .
With an office on 92 Pirin Street in Bansko, the company operates with a car fleet of 200 cars, 80% of which were bought brand new in the last year. Directions: Watch Video Ring Road now most used option. On return careful at Pernik. On ring road returning back to Sofia airport look out for sign to Mladost. Take this. Signposted thereafter. Be sure you have a ticket (vignette) attached to screen for the motorways outside Sofia. Check you have winter tyres are fitted, and that the windscreen fluid is full. Carry your driving licence; and passport if a foreigner. Your time spent stopped by police makes it a waste of time speeding. 50 km/hr in all towns — exceed this at your peril. Be sure you are in a road legal vehicle. Headlights should be switched on during the day, as well as night, in winter. If stopped, be polite. Show your licence and vehicle documents. Don’t be fooled in thinking that the police are always corrupt. They now give out 200 BGN fines and driving bans to Bulgarians, and others. 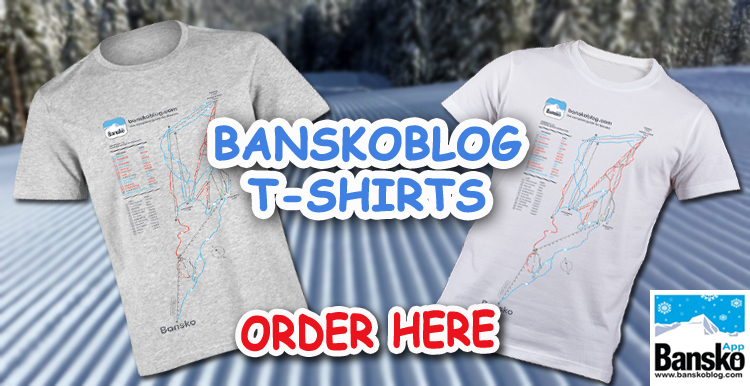 Using BanskoBlog transfer helps support this site! 3. Taxi https://www.oktaxi.net/cgi-bin/oktaxi.pl?code=main&lang=en -OK taxis several times for longer trips out of Sofia. And its not a bad option – well, its just okay! Make sure it OK Supertrans and that you ALWAYS check the cost per kilometre BEFORE jumping in any taxi. Always check that metre is ON. They are the official yellow taxis outside airport. If you’re up for some hard bargaining for Sofia… remember its just one way. If all other options failed. Or you just forgot to book. All is not lost. OK Taxis (Supertrans) will get you there. Try and pick an English speaking driver. Perfect for Sofia trips. Very poor boot (trunk) space for your baggage. There is a large gas bottle in the boot. It’s propane gas – or the larger methane gas bottle that;s taking up that space. NOTE: UBER is available for in Sofia rides only. At the time of editing this article in July 2015, legislation being drafted to ban Uber from Bulgaria. A great shame. 4.Take the Bus Why not take the bus? Save the environment and save cash. This is cheap just 16 leva (8 euros approx) each way. It will take longer though. And you have about 16 BGN to get to the bus station… so a shuttleis cheaper and much quicker if you arrive at the airport. Go to Central Bus Station, Sofia for timetable (its in English). Be warned, this will take time as you have to get to Central Bus Station. Best may be to use Ovcha Kupel bus station. But at least its on the right side of town. You will need to check these times. The bus stops in Blagoevgrad train station for 15 minutes, where there are clean toilet facilities, restauarants and coffee bars for snacks. Sofia Ovcha Kupal Bus Terminal to Bansko – 07:00, 09:20 (not Tues), 10:30, 11:50 (not Sun), 13:05, 13:55, 14:30, 14:40, 15:10, 15:28 (not Tues), 15:55, 16:30, 17:00, 17:30. Bansko Bus Terminal to Sofia – 05:40, 07:00, 08:40, 13:15, 15:20 (not Tues). 5. Train Here’s the link for the timetable: https://www.bdz.bg/ . Go to central train station. Change of trains is required. It will take you seven hours. Take a good book. Enjoy the scenery — its reported to be well worthwhile. 6. Thessaloniki Transfer Fly to Thessaloniki, hire a car and drive to Bansko from Greece. Car hire and transfers cost a little more (book in Bansko App). It’s a bit further — but getting out of Sofia at busy times makes this an excellent option to consider especially if you fancy time exploring Greece. Try a decent Greek restaurant. Genuine Greek food (especially seafood) is a must. Thessaloniki has an excellent atmosphere. Great bars and restaurants and really different from Bulgaria. Be prepared for drinks prices that are equal to, if not more, than other cities such as London, Paris, Moscow, Dublin etc. Quality is high, however, and the weather is almost always warmer than you’ll find in Bulgaria. 7. Plovdiv Transfer Why not grab a flight to Plovdiv? For many this is the best city in Bulgaria. European Capital of Culture 2019. I can vouch that it really as a superb city break destination. Cheaper than Sofia and with loads of culture and a very pleasant old town encompassing a Roman amphitheatre. Search www.Banskoblog.com on top right hand column for more resources. If you enjoyed this article, and would like to receive more like this, then simply register for email newsletter. You’ll also receive the updated Essential Guide to Bansko to getting the best out of Bansko, snow reports, events, interviews, wine reviews, restaurant reviews, life in Bulgaria, guest posts, Sofia info…and more. Beware of rogue Bansko Transfer and Hire Car Companies. There are some cars and vans that are used for transfers and hire that are unsafe. Vehicles really do need winter tyres (in winter) and a motorway vignette (ticket). Don’t risk a car that you are not certain is safe to be in. A reliable transfer driver is not a nice to have, it is essential. Be absolutely certain of a safe transfer. There are several “cowboy” operators out there — just waiting to trap the unwary. Some travelers have literally been ready to abandon their transport as the driving has been so bad. Agressive overtaking and risk taking is normal. If it seems cheap, then please be careful, as it could be. A “one man van” operator who may leave you stranded. What if the vehicle broke down for some time? Do they have a network of drivers and vehicles in both Bansko and Sofia? Don’t risk it, book transfers here, hassle free, and online. But most of all, safe driving is what we make sure you expereince. Enjoy your time in Bulgaria. * This asterix means that it is a banskoblog supporting company. Please note that I am unable to take any liability for the transfers and transport information on this web site.